The 16 feet SD488 Fire Rescue Motor Boat comes with a sectional heavy-duty aluminum floor. SD488 is the same boat as SD470 but a little bit longer. 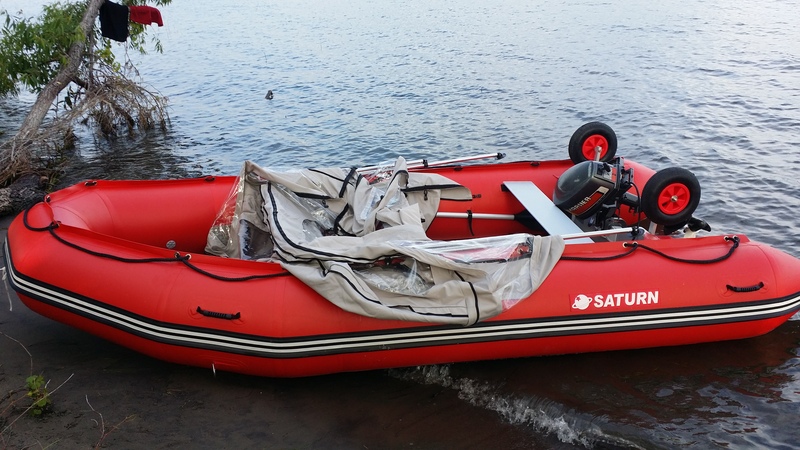 SD488 inflatable boats are made of premium 1,100 Dtex heavy-duty PVC fabric with polyester support which has excellent resistance to tearing, tension and breaking. The 5-layer thick construction's outer layer, protects the boat against UV rays, ozone and abrasion, and inner layers provide perfect strength and adhesion. Double layers of fabric at the bottom of the tubes and a rub-strake protector along the keel provide extra protection from sharp rocks and abrasive sand. The safety valve will prevent excessive air pressure in the boat's chambers. SD488 model equipped with T- paddles, 3 aluminum bench seats, soft carry handles. Reliable Halkey-Roberts flat valves design. Heavy-duty aluminum floor with aluminum floor frames. Includes 3 anodized aluminum bench seats. 1100-denier reinforced PVC fabric with polyester support. Equipment: repair kit, 2 carry bags, T paddles and 3 aluminum bench seats. "Amazing boat! I am so happy with my new 16 ft Red Saturn Boat! I had Kaboat SK487 16ft for the last 6 years. Gave to my brother. Now got SD488. 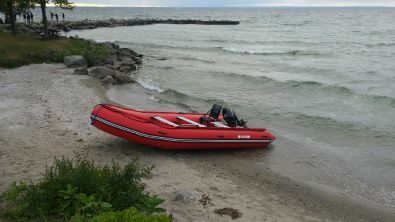 I tested it out on lake Simcoe, Ontario with 9.8 HP and was able to go 29 km/h on full throttle and 25 km/h on a half throttle with only myself in the boat. Once again thank you Saturn Boats for great products! Looking forward for summer. Thanks again.